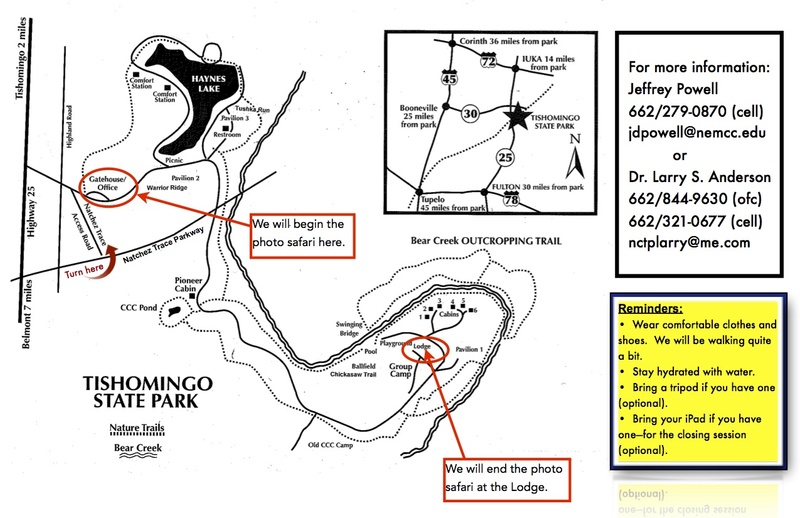 Here is the information card from our 2013 photo safari. The information is essentially the same. This photo safari will be offered at Tishomingo State Park (one of America’s Top 100 Best Parks) at the request of the Tishomingo County Tourism Bureau. 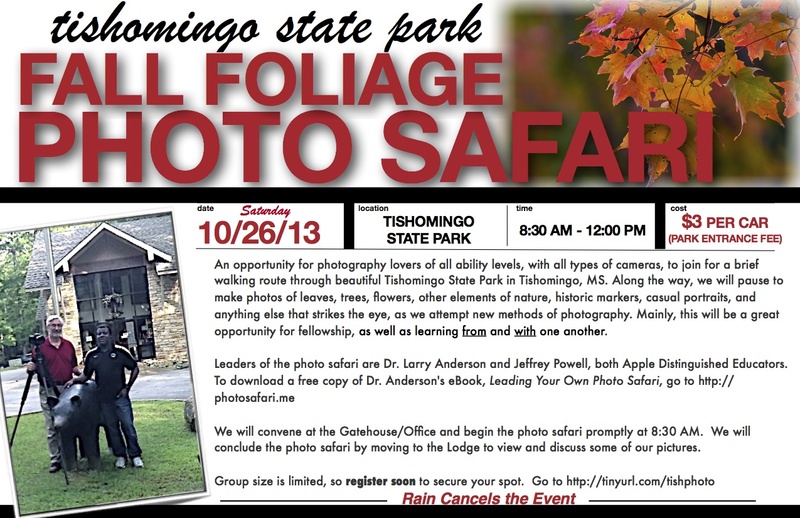 Words cannot describe how helpful the management and staff at Tishomingo State Park have been to us as we prepared for this exciting photo safari. I appreciate, especially, Mr. Jeffrey Powell (Apple Distinguished Educator and IT/Web Manager at Northeast Mississippi Community College in Booneville, MS) for coordinating this photo safari with the Tishomingo County Tourism Board. Plus, Jeffrey lives only 10 minutes from the park, he has worked closely with the Park Director and staff. I cannot thank Jeffrey enough for suggesting this photo safari, then making sure everything runs smoothly. Photo Collection Site: When the photo safari is completed, participating photographers will be invited to upload their top FIVE photos to our Flickr site that is devoted exclusively to this event. So, feel free to navigate to http://www.flickr.com/groups/tishps17/ to view our photos (wait until the date of the photo safari to check the site, though). We will have some beautiful images there.